Party bus rental for a birthday party is perfect for making that once a year event even more special. Get the party and all of the guests together to honor that special day for that special person, and have drinks on your way to that special celebration in the most luxurious and brand new party bus rental on the market. Whether it’s a sweet 16 birthday with soda pop’s or the extra special 21st birthday with that first drink- or one of the milestone birthdays in life: the 30th, 40th, 50th birthday or more- Varsity Limousine will be the icing on the cake for this year’s celebration. 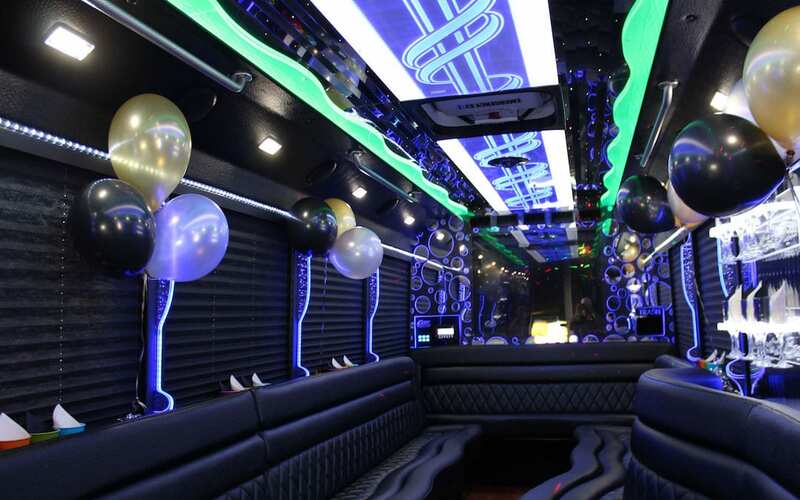 The fun never ends with your birthday party bus rental, where you and your group want to go out a grab drinks and dinner in downtown Detroit- or travel in style to a private venue reserved for your special birthday celebration. Your party bus rental will allow you to focus on nothing but having a great night out on the town and making that birthday party the most memorable of all. At Varsity Limousine Services, we take pride in making any birthday occasion extra special for the guest of honor and the guests of honor as well! We have the newest fleet for a birthday party bus rental with all of the bells and whistles possibly available for a brand new party bus- nothing is spared when we order our new party busses because we want our passengers to feel like royalty. Check out our party bus rental fleet and view other limo transportation options for groups large and small- visit our Party Bus and Limo Fleet page today for a birthday party bus rental experience you’ll never forget, and will be planning on doing it all over again next year!